Ratings firm Moody’s has affirmed South Africa’s debt ratings, says the country’s Finance Minister Pravin Gordhan. Moody’s has recognised the government’s commitment to fiscal discipline and the National Development Plan (NDP) which demonstrates Pretoria’s intentions to implement economic growth, according to Gordhan. “Government has noted Moody’s decision which is a sign of confidence in our macroeconomic policy strategies, particularly given the current global economic climate,” Gordhan said in a statement. The ratings agency on Wednesday confirmed that South Africa’s credit rating would remain unchanged at Baa1. “Government has taken proactive measures to address all the key concerns raised by Moody’s and remains committed to implement these measures,” he added. 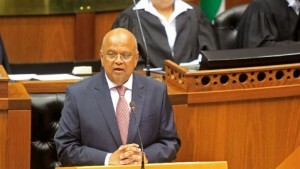 Gordhan said Pretoria is confident that the various measures that are being implemented will contribute to improved ratings for South Africa. “On the tax policy review, government yesterday announced the members of the Tax Review Committee as well as the committee’s terms of reference. Furthermore, government will intensify efforts to ensure the successful implementation of the framework agreement in the mining sector,” Gordhan said. Labour unrest and strikes in South Africa’s mining sector have crippled the country’s economy. The ruling Africa National Congress (ANC) adopted the NDP at its national conference in December last year, with the aim of eliminating poverty and reducing inequality by 2030.